After completion of the exterior work I decided to get working on the layout plan. Of course being the computer guru that I am I had to have a computer program to plan the layout and I found the perfect program. I downloaded it and got started right away on planning the layout….. wel not right away. As I started to plan the layout I found that I needed to a lot of base information. 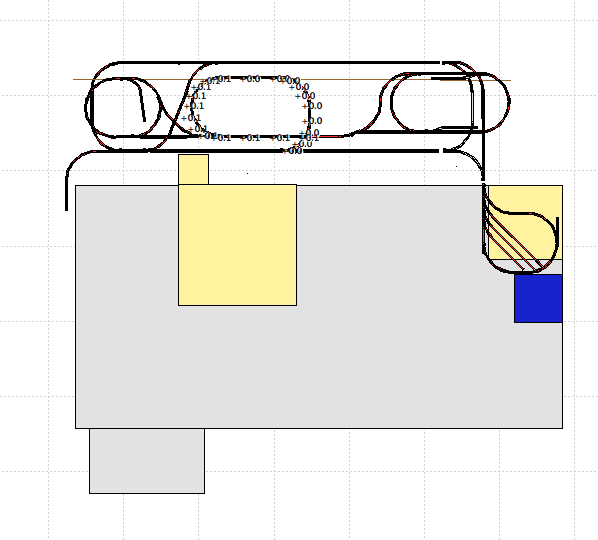 Like what radii curve should I be using, what kind of track should I be using, what would be my main locomotives, how many cars on the trains, e.t.c. So back to reading and checking out the internet for the massive amount of information available about designing and building a garden model railroad. I gravitated to the locomotives first as they would determine what would be the minimum radii curve. I also had to determine how to control the locomotives and I found many many options. After a lot of reading and analysis I decided to go with radio controlled locomotives so I would not have to live with the problem of dirty tracks and I could control multiple trains on the same track. I knew my many grandchildren would love to control their own train. Once I had selected radio control (with batteries on board to power the locomotives) I then had to decide which control manufacturer to use. 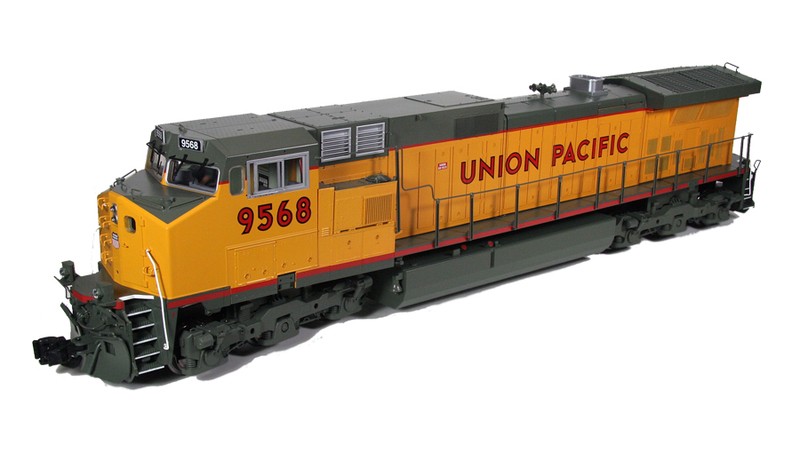 After more research I selected RCS and bought my first batter powered radio controlled locomotive. I also selected my large locomotive to be the GE Dash-9 locomotive made by Aristocraft. Unfortunatley Aristocraft just went out of business so it was onto ebay and other sites to find the right locomotives. I wanted to secure what I needed before they became scarce. Being on Ebay I saw a lot of other “deals” that I started to take advantage of. I also started to visit train store. While in Chicago visiting Chele we visited 3 train stores and found some great deals on used locomotives, cars and tracks. It was while in one of these stores and talking with somebody that had been in the business for a long time, I stumbled onto LGB track. They had a lot of used track for sale and 50% of the normal price and I bought some. 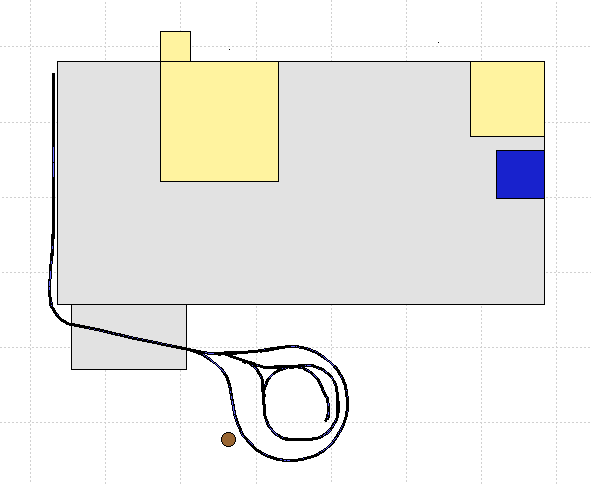 Now my entire layout is designed around LGB brass track which from all information is the best garden railraod track out there. Another deal we found was in a train store in Buford GA. We were visiting the lakehouse on Decemb er 31st to take measurements and elevations for the model railroad program on my computer when we found the deal of the century. We found a Notre Dame set of cars and Locomotive made my Kalamazoo Toy Trains (bankrupt and closed now) for sale. It was heavily discounted and in great shape and I snapped it up along with another older GE Locomotive, the GE U25B. We also found a used Bauchman Christmas train. On top of all of that the store had a year end discount and we walked away with some great trains, tracks for a very low price. With all that I was able to do a preliminary layout for the lakehouse.